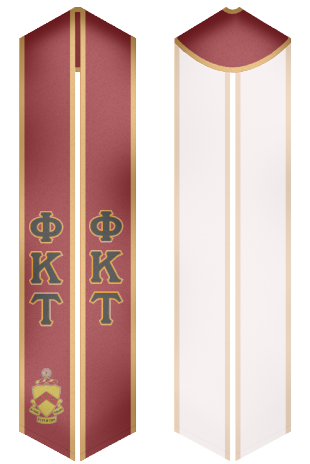 Custom Sash " Purchase great sashes and stoles for Phi Kappa Tau fraternity"
Phi Kappa Tau was formed in the Union Literary Society Hall of Miami University's Old Main Building in Oxford, Ohio in 1906. It was founded by four men: Taylor A. Borradaile, Clinton D. Boyd, Dwight I. Douglass, and William H. Shideler. Known as Phi Tau it is considered to be one of the most popular US collegiate fraternities. Phi Kappa Tau fraternity has 81 active chapters, 146 Chartered Chapters and approximately 4,000 undergraduate members. 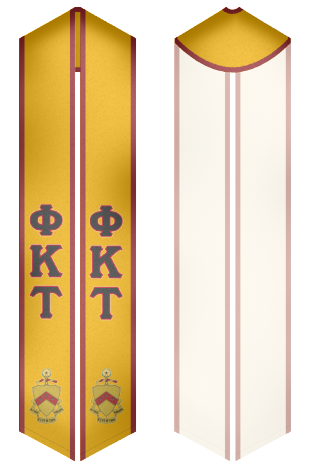 Phi Kappa Tau is a member of the North-American Inter-fraternity Conference. 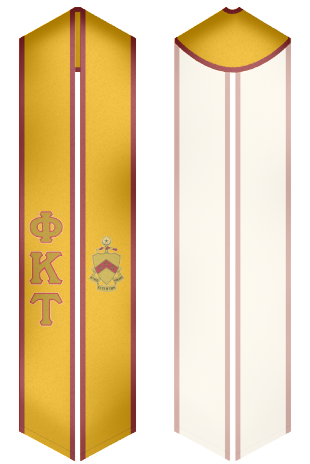 At our website you will find a lot of amazing stoles, which you can wear on events held by Phi Kappa Tau fraternity.